Simon Sinek’s 2009 book, ‘Start with WHY’, explained why certain people, leaders and messages, inspire us over others. This book was then followed by his famous 2010 TED talk on ‘How Great Leaders Inspire Action’, which is now the 3rd most viewed video on TED.com. Here he popularised the concept of ‘the golden circle’ of leadership communication. Sinek’s most recent book, ‘Leaders Eat Last’, was released in 2014 and explores the big question – how do some leaders and companies get it right in inspiring trust, cooperation and change while so many leaders and companies get it so wrong? Sinek has a unique approach, where he investigates research on the biology of the brain and the impact our bodily chemicals have on workplace dynamics and performance! He gives the reader a formula, by codifying both business success and failure, sharing why it is imperative for leaders to meet a core tribal need in order for people to feel safe, be trusted and be genuinely connected with a greater purpose at their workplace. 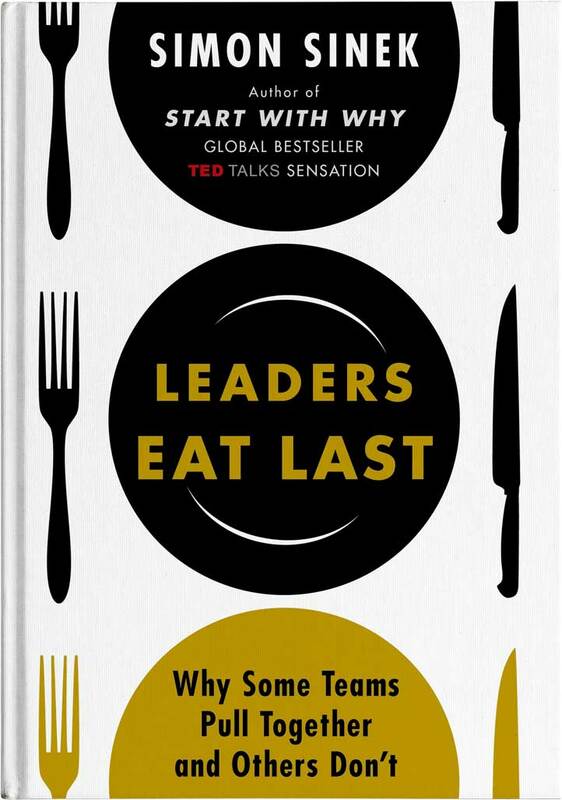 The title ‘Leaders Eat Last’ comes from Sinek’s work with the U.S. Marine Corps, where the unwritten rule of leadership is to wait and not eat until your junior troops have eaten first – no orders are given or needed. Leaders Eat Last is not some macho cliché approach to leadership where you need to be an individualistic cowboy. Quite the opposite. Leaders Eat Last is in fact about the importance to sacrifice your own comfort and safety – even your own survival – for the good of those in your care. Sinek argues that humans need to feel safe as a group to be able to function at a high level and they will only do this if leaders create a ‘Circle of Safety’ for all of their people. Sinek shares many stories where safety is a critical ingredient for staff to feel protected by their leader. This results in people going on to protect the organisation and advance the well being of their team and clients, above themselves. Sinek highlights some great examples and case studies – such as Costco, 3M and Southwest Airlines – all companies with remarkable positive, long-standing results. These leaders got it right by establishing a Circle of Safety in their team environment, where they created a clear purpose with the customer and the greater good of the team trumped individual greed. The team environment was safe to experiment and to make mistakes, with these companies and teams ultimately reaping the rewards of greater performance and long-term sustainability. Sinek argues that for the last 40,000 plus years, humans have evolved to look after one another – our survival and our biology dictate this! Up until recently humans thrived only when they felt safe among a group. Conversely, Sinek discovered that leaders and companies with a primary focus on longer-term goals and a selfless leadership style (releasing the two ‘selfless chemicals’ of serotonin and oxytocin) this will actually transform the way people behave in such a positive way, that this approach becomes the only real ‘biological’ way to reap the rewards of business success. When a leader places a heavy focus on trust, collaboration and purpose, it will have substantial positive effects on staff engagement and long-term sustainability. Sinek argues that we are on the brink of a modern era of management, dominated by self-serving leadership that promotes and incentivises egocentric practices for short-term gain over the care of their people. 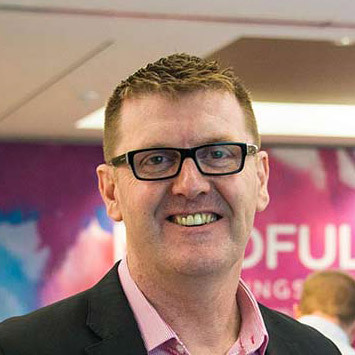 He shares some company ‘train wrecks’ of the last decade with disastrous results of greed, and he really gets stuck into many selfish organisations and indulgent leaders (even the famous Jack Welsh from GE is not spared), who rode on their golden reputations – but ignored what got them there – which was their predecessors who served their people and gained their clients trust. I highly recommend reading this book as I’m a big fan of Simon Sinek and I love that his approach is based on biology research and application. Sinek unlocks the reason why we need to reject this modern day malaise, addictiveness and obsession with short-term greed and selfish leadership styles. His book gives us hope and guidance on how to truly serve as a leader and to create a positive, safe and sustainable workplace where people thrive and selflessly work for the betterment of their tribe – the tribe of their team, their clients and their organisation.